Pharmaceutical industry is the fourth largest industry in terms of market size. It is poised to grow to a staggering ~ $1.2 trillion in 2020 with an average growth of 4.4% annually. 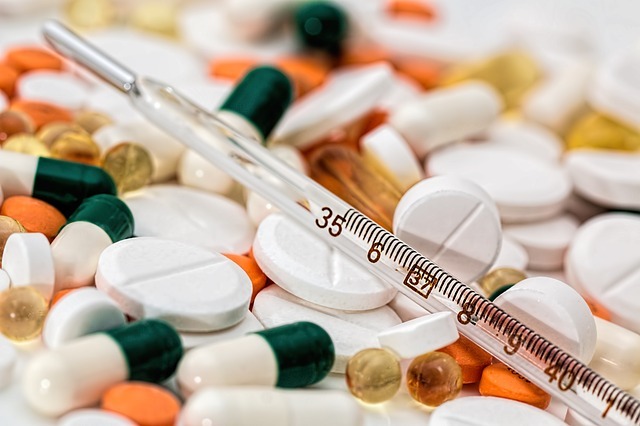 As per recent research by McKinsey, pharma supply chains are usually characterized by high lead times – ranging between 6 months to 1 year, thereby leading to high inventory levels (on an average 250 days). This is done to ensure that high customer service levels are met (average of 99.1%). Even with such huge amount of buffer, the pharma giants still struggle to balance supply and demand issues. Along with the complexities in the supply chain, the industry is faced with increasing regulations from the governing bodies which has paved the need for advanced technological platforms. Pharma industry has embraced this technological evolution and are partnering with hi-tech vendors to sort out their supply chains. In this whitepaper we look at the major challenges being faced by the Pharma companies and how technology can be used to make the processes more efficient and robust. First we have a look at how the supply chain looks like. In comparison to other industries, pharma supply chains fall back in major areas of performance such as overall equipment effectiveness, manufacturing lead time, inventory turnover and cost of goods sold. There are various challenges in Information and Processes in the pharma supply chain. We identified two major pain points in our experience. A major pharmaceutical company – with operations in the US, India and Europe – was experiencing a mismatch between its reported on-time in-full (OTIF) levels and actual OTIF levels. This hampered the customer service levels and would have deteriorated relationships with major customers in long run. Thoucentric consultants used their expertise to identify the root cause of the issue. This was after a complete process mapping and preparing a gap analysis framework. After identifying the root cause, we built an OTIF metric timeline and training plan to educate the users. Our detailed solution and recommendations are discussed in detail in the whitepaper. In our opinion, the implementation of latest available technology tools – though highly challenging at a global scale – would not be enough for pharma companies. They need to ensure that the users are cognizant of the need of coordinated planning & execution and hence are adept at utilizing systems in the best possible way. In addition, the companies need monitor the processes with practical KPIs, which are in line with the end objective of a companies’ or a companies’ products’ supply chain strategy. Such a robust approach would ensure that companies are able to compete on a level playing ground and have an edge over their competitors while delighting their customers. We are a niche management consulting firm focused on helping organizations solve business problems through technology & process solutions. We can assist players in pharma space to choose right set of tools, vendors and processes to enable them to achieve operational excellency. We have immense experience of implementing systems and processes across multiple geographies such as the US, Europe, LATAM etc.